This vehicle takes the successful CARRYME folding system and develops it into a trike that rolls easily with added stability. It uses advanced, lightweight aluminum tubing and components that could previously only be found on high end road and mountain bikes. 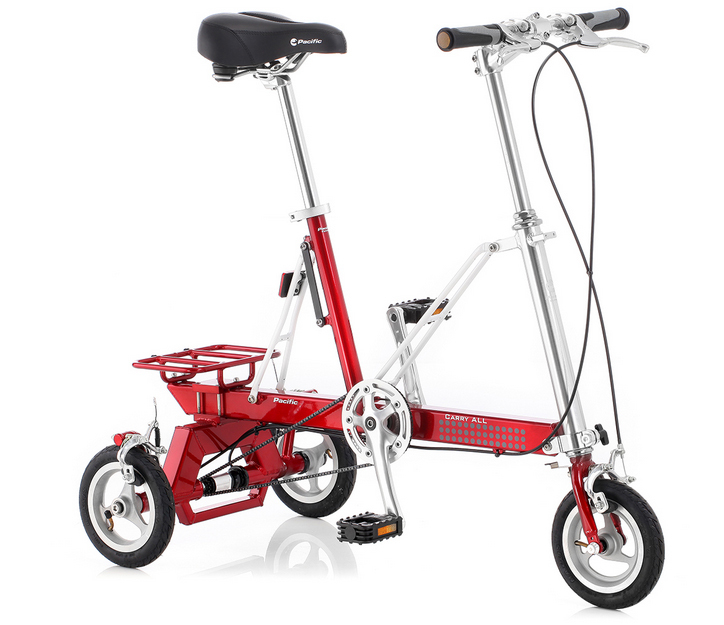 The combination of light weight and strong materials, three wheel stability and a compact folding system make this bike shine. This tricycle is truly portable, lightweight and high tech. CARRYALL™ easily fits in the trunk of a car or can be taken along on public transport wherever you go. Ideal for the modern Urban Lifestyle. The stability of three wheels and high end componentry make this one a winner! 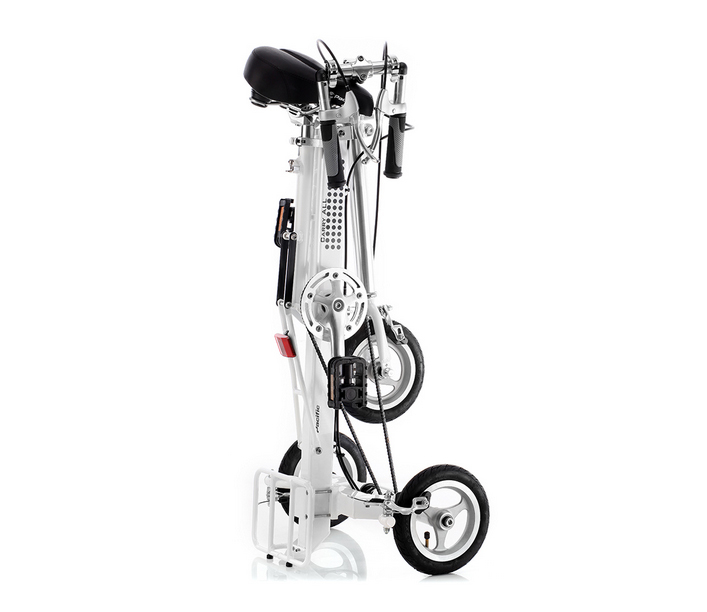 The CARRYALL™ is made in Taiwan and imported exclusively by Worksman Cycles. Price went up $300.00 in two months.